Tyres in Dundee at competitive prices. All major and budget brands supplied and fitted. 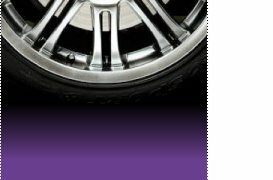 Hectyre is a family run business supplying brand name and budget tyres at competitive prices. Simply enter your tyre size or vehicle registration number to find tyres available for you. All prices are fully fitted. Supplier of brand name and budget tyres at competitive prices. All major credit and debit cards accepted. *Our wheel balancer is capable of balancing any wheel including 4x4, centreless French wheels and light truck wheels with large centres.